So much love for this couple, and I have the pleasure of calling them kin! They'll be getting married this October down on the Shenandoah River and it's going to be one heck of a wedding day. They are also avid followers of The Lone Bellow, so you know they're quality people. 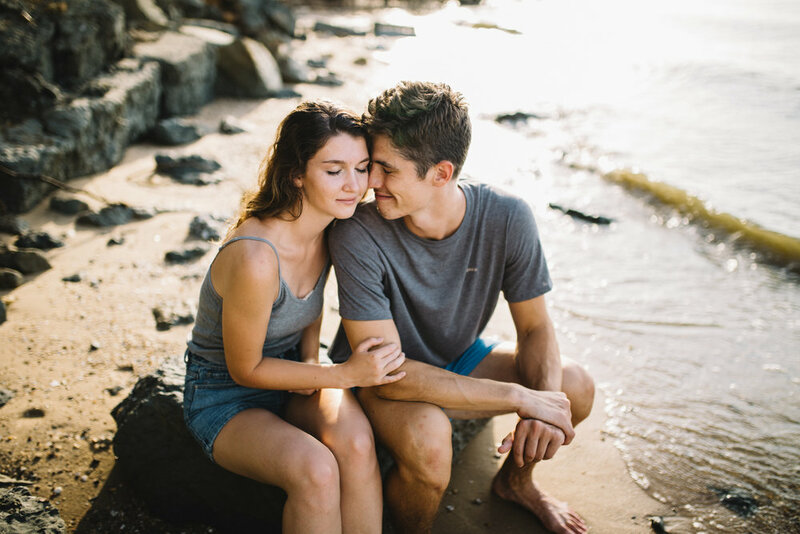 Our family went to the beach house along the Potomac earlier this summer and we took the chance to get a few more engagement photos, which just so happened to be my favorite session ever. Take a look, and don't forget to keep an eye out for their wedding day!